A novena is a nine-day period of private or public prayer to prepare for a major feast of the Church, obtain special graces, to implore special favours, or to make special petitions. (Novena is derived from the Latin "novem", meaning nine.) As the definition suggests, the novena has always had more of a sense of urgency and neediness. I greet you, ever-blessed Virgin, Mother of God and miracle of almighty power! I greet you, sanctuary of the Most Holy Trinity and Queen of the universe. Mother of mercy and refuge of sinners, attracted by your beauty and sweetness, as well as by your tender compassion, I confidently turn to you, unworthy as I am, and beg you to obtain for me of your dear Son the special intention I request in this novena, if it be the will of God (mention your request). Above all, I beg you to be my Mother and Patroness, to receive me into the number of your devoted children, and to guide me from your high throne of glory. Amen. Mary, Mother of God,on this first day of the year, we acclaim your grandeur. Hail, Mother of the God-Man! Hail, Mother of love and mercy! Hail, Mother filled with kindness! Hail, Mother of unending life! We have a Father in God and a Mother in you. Most loving Mother, watch over me every day and at every moment of my life. Lord Jesus, Who went up to the Temple as a child, grant us to know Thy presence and mercy in our lives and in our community so that we may declare the Good News of Thy love for all. O Blessed Mother of God, who went up to the Temple according to the law with thine offering of little white doves, pray for us that we too may keep the law and be pure in heart like thee. Most Merciful Jesus, whose very nature it is to have compassion on us and to forgive us, do not look upon our sins, but upon the trust which we place in Thine infinite goodness. Receive us all into the abode of Thy Most Compassionate Heart, and never let us escape from it. We beg this of Thee by Thy love, which unites Thee to the Father and the Holy Spirit. O omnipotence of Divine Mercy, salvation of the sinful, Thou art a sea of mercy and compassion and aid those who entreat Thee with humility. Eternal Father, turn Thy merciful gaze upon all humanity and especially upon poor sinners, all enfolded in the Most Compassionate Heart of Jesus. For the sake of His sorrowful Passion, show us Thy mercy, by the grace of Thy Holy Spirit that we may praise the omnipotence of Thy love forever and ever. Amen. Saint Joseph, you are the faithful protector and intercessor of all who love and venerate you. You know that I have confidence in you and that, after Jesus and Mary, I come to you as an example for holiness, for you are especially close with God. Therefore, I humbly commend myself, with all who are dear to me and all that belong to me, to your intercession. I beg of you, by your love for Jesus and Mary, not to abandon me during life and to assist me at the hour of my death. ​Day 1 – St. Joseph Most Just, Pray for us! Day 2 – St. Joseph Most Prudent, Pray for us! Day 3 – St. Joseph Most Loving Husband, Pray for us! Day 4 – St. Joseph Most Strong, Pray for us! Day 5 – St. Joseph Most Obedient, Pray for us! Day 6 – St. Joseph Most Faithful, Pray for us! Day 7 – St. Joseph Pillar of Families, Pray for us! Day 8 – St. Joseph Patron of the Dying, Pray for us! Day 9 – St. Joseph Terror of Demons, Pray for us! Glory be to the Father and to the Son and to the Holy Spirit, as it was in the beginning, is now and ever shall be, world without end. I greet you, Ever-blessed Virgin, Mother of God, Throne of Grace, miracle of Almighty Power! I greet you, Sanctuary of the Most Holy Trinity and Queen of the Universe, Mother of Mercy and refuge of sinners! Obtain for me also, Queen of heaven, the most lively contrition for my many sins and the grace to imitate closely those virtues which you practiced so faithfully, especially humility, purity and obedience. Above all, I beg you to be my Mother and Protectress, to receive me into the number of your devoted children, and to guide me from your high throne of glory. Do not reject my petitions, Mother of Mercy! Have pity on me, and do not abandon me during life or at the moment of my death. Amen. Jesus, I believe that by Your own power You rose from death, as You promised, a glorious Victor. May this mystery strengthen my hope in another and better life after death, the resurrection of my body on the last day, and an eternity of happiness. I firmly hope that You will keep Your promise to me and raise me up glorified. Through Your glorious Resurrection I hope that You will make my body like Your own in glory and life, and permit me to dwell with You in heaven for all eternity. I believe that Your Resurrection is the crown of Your life and work as God-Man, because it is Your glorification. This is the beginning of the glorious life that was due to You as the Son of God. Your Resurrection is also the reward of Your life of suffering. Jesus, my Risen Lord and King, I adore Your Sacred Humanity which receives this eternal Kingdom of honour, power, joy and glory. I rejoice with You, my Master, glorious, immortal and all-powerful. Through the glorious mystery of Your Resurrection I ask You to help me to rise with You spiritually and to live a life free from sin, that I may be bent upon doing God’s Will in all things, and may be patient in suffering. Through the Sacraments may my soul be enriched evermore with sanctifying grace, the source of Divine life. I also ask that You grant me this special request: (Mention your request). May Your Will be done! Jesus, I honor You on the feast of Your Ascension into heaven. I rejoice with all my heart at the glory into which You entered to reign as King of heaven and earth. When the struggle of this life is over, give me the grace to share Your joy and triumph in heaven for all eternity. I believe that You entered into Your glorious Kingdom to prepare a place for me, for You promised to come again to take me to Yourself. Grant that I may seek only the joys of Your friendship and love, so that I may deserve to be united with You in heaven. In the hour of my own homecoming, when I appear before Your Father to give an account of my life on earth, have mercy on me. Jesus, in Your love for me You have brought me from evil to good and from misery to happiness. Give me the grace to rise above my human weakness. May Your Humanity give me courage in my weakness and free me from my sins. Through Your grace, give me the courage of perseverance for You have called and justified me by faith. May I hold fast to the life You have given me and come to the eternal gifts You promised. By Your unceasing care, guide my steps toward the life of glory You have prepared for those who love You. Make me grow in holiness and thank You by a life of faithful service. This is prayed along with the Divine Mercy Chaplet. First Day - Today bring Me all mankind, especially all sinners. Second Day - Today Bring Me the Souls of Priests and Religious. Eternal Father, turn Your merciful gaze upon the company [of chosen souls] in Your vineyard - upon the souls of priests and religious; and endow them with the strength of Your blessing. For the love of the Heart of Your Son in which they are enfolded, impart to them Your power and light, that they may be able to guide others in the way of salvation, and with one voice sing praise to Your boundless mercy for ages without end. Amen. Third Day - Today Bring Me All Devout and Faithful Souls. Eternal Father, turn Your Merciful gaze upon faithful souls, as upon the inheritance of Your Son. For the sake of His Sorrowful Passion, grant them Your blessing and surround them with Your constant protection. Thus may they never fail in love or lost the treasure of the holy faith, but rather , with all the hosts of Angels and Saints, may they glorify Your boundless mercy for endless ages. Amen. Fourth Day - Today Bring Me The Pagans and Those Who Do Not Know Me. Most Compassionate Jesus, You are the Light of the whole world. Receive into the abode of Your Most Compassionate Heart the souls of pagans who as yet do not know You. Let the rays of Your grace enlighten them that they, too, together with us, may extol Your wonderful mercy; and do not let them escape from the abode which is Your Most Compassionate Heart. Eternal Father, turn Your merciful gaze upon the souls of pagans and of those who as yet do not know You, but who are enclosed in the Most Compassionate Heart of Jesus. Draw them to the light of the Gospel. These souls do not know what great happiness it is to love You. Grant that they, too, may extol the generosity of Your mercy for endless ages. Amen. Fifth Day - Today Bring to Me the Souls of Heretics and Schismatics. Most Merciful Jesus, Goodness Itself, You do not refuse light to those who seek it of You. Receive into the abode of Your Most Compassionate Heart the souls of heretics and schismatics. Draw them by Your light into the unity of the Church, and do not let them escape from the abode of Your Most Compassionate Heart; but bring it about that they, too, come to glorify the generosity of Your mercy. Eternal Father, turn Your merciful gaze upon the souls of heretics, and schismatics, who have squandered Your blessings and misused Your graces obstinately persisting in their errors. Do not look upon their errors, but upon the love of Your Own Son and upon His bitter Passion, which He underwent for their sake, since they, too, are enclosed in the Most Compassionate Heart of Jesus. Bring it about that they also may glorify Your great mercy for endless ages. Amen. Sixth Day - Today Bring Me The Meek and Humble Souls and the Souls of Little Children. Eternal Father, turn Your merciful gaze upon meek and humble souls, and upon the souls of little children, who are enfolded in the abode of the Most Compassionate Heart of Jesus. These souls bear the closest resemblance to Your Son. Their fragrance rises from the earth and reaches Your very throne. Father of mercy and of all goodness, I beg You by the love You bear these souls and by the delight you take in them: bless the whole world, that all souls together may sing out the praises of Your mercy for endless ages. Amen. Seventh Day - Today Bring Me The Souls Who Especially Venerate and Glorify My Mercy. Most Merciful Jesus, whose Heart is Love Itself, receive into the abode of Your Most Compassionate Heart the souls of those who particularly extol and venerate the greatness of Your Mercy. These souls are mighty with the very power of God Himself. In the midst of all afflictions and adversities they go forward, confident in Your Mercy. These souls are united to Jesus and carry all mankind on their shoulders. These souls will not be judged severely, but Your mercy will embrace them as they depart from this life. Eternal Father, turn Your merciful gaze upon the souls who glorify and venerate Your greatest attribute, that of Your fathomless mercy, and who are enclosed in the Most Compassionate Heart of Jesus. These souls are a living Gospel; their hands are full of deeds of mercy and their spirit, overflowing with joy, sings a canticle of mercy to You, O Most High! I beg You O God: Show them Your mercy according to the hope and trust they have placed in You. Let there be accomplished in them the promise of Jesus, who said to them, "I Myself will defend as My own glory, during their lifetime, and especially at the hour of their death, those souls who will venerate My fathomless mercy." Eighth Day - Today Bring Me The Souls Who Are In the Prison Of Purgatory. Most Merciful Jesus, You Yourself have said that You desire mercy; so I bring into the abode of Your Most Compassionate Heart the souls in Purgatory, souls who are very dear to You, and yet who must make retribution to Your justice. May the streams of Blood and Water which gushed forth from Your Heart put out the flames of purifying fire, that in that place, too, the power of Your mercy may be praised. Eternal Father, turn Your most merciful gaze upon the souls suffering in Purgatory, who are enfolded in the Most Compassionate Heart of Jesus. I beg You, by the sorrowful Passion of Jesus Your Son, and by all the bitterness with which His most sacred Soul was flooded, manifest Your mercy to the souls who are under Your just scrutiny. Look upon them in no other way than through the Wounds of Jesus, Your dearly beloved Son; for we firmly believe that there is no limit to Your goodness and compassion. Amen. Ninth Day - Today Bring Me The Souls Who Have Become Lukewarm. I greet you, ever blessed Virgin, Mother of God, throne of grace, miracle of almighty power! I greet you, sanctuary of the Most Holy Trinity and Queen of the Universe, Mother of mercy and refuge of sinners! 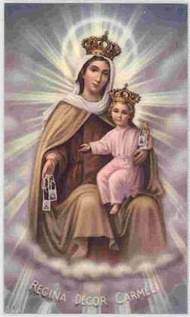 Most loving Mother, attracted by your beauty and sweetness, and by your tender compassion, I confidently turn to you, and beg of you obtain for me of your dear Son the favor I request in this novena: (state your specific request or intention here!) Obtain for me also, Queen of Heaven, the most lively contrition for my many sins and the grace to imitate closely those virtues which you practiced so faithfully, especially humility, purity and obedience. Above all, I beg you to be my mother and protectress, to receive me into number of your devoted children, and to guide me from your high throne of glory. Do not reject my petitions, Mother of mercy! Have pity on me, and do not abandon me during life or at the moment of my death. Daughter of the Eternal Father, Mother of the Eternal Son, Spouse of the Holy Spirit, Temple of the Adorable Trinity, pray for me. Immaculate and tender Heart of Mary, refuge of the needy and hope of sinners, filled with the most lively respect, love, and gratitude, I devote myself forever to your service, and I offer you my heart with all that I am and all that is mine. Accept this offering, sweet Queen of Heaven and Earth, and obtain for me of your dear Son, Jesus Christ, the favors I ask through your intercession in this novena. Obtain for me also a generous, constant love of God, perfect submission to His holy Will, the true spirit of a Christian, and the grace of final perseverance. Amen. I thank You, Jesus, my Divine Redeemer, for coming upon the earth for our sake, and for instituting the adorable Sacrament of the Holy Eucharist in order to remain with us until the end of the world. I thank You for hiding beneath the Eucharistic species Your infinite majesty and beauty, which Your Angels delight to behold, so that I might have courage to approach the throne of Your Mercy. I thank You, most loving Jesus, for having made Your- self my food, and for uniting me to Yourself with so much love in this wonderful Sacrament that I may live in You. I thank You, my Jesus, for giving Yourself to me in this Blessed Sacrament, and so enriching it with the treasures of Your love that You have no greater gift to give me. I thank You not only for becoming my food but also for offering Yourself as a continual sacrifice to Your Eternal Father for my salvation. I thank You, Divine Priest, for offering Yourself as a Sacrifice daily upon our altars in adoration and homage to the Most Blessed Trinity, and for making amends for our poor and miserable adorations. I thank You for renewing in this daily Sacrifice the actual Sacrifice of the Cross offered on Calvary, in which You satisfy Divine justice for us poor sinners. I thank You, dear Jesus, for having become the priceless Victim to merit for me the fullness of heavenly favors. Awaken in me such confidence in You that their fullness may descend ever more fruitfully upon my soul. I thank You for offering Yourself in thanksgiving to God for all His benefits, spiritual and temporal, which He has bestowed upon me. In union with Your offering of Yourself to Your Father in the Holy Sacrifice of the Mass, I ask for this special favor: (Mention your request). If it be Your holy Will, grant my request. Through You I also hope to receive the grace of perseverance in Your love and faithful service, a holy death, and a happy eternity with You in Heaven. Amen. O Lord, You have given us this Sacred Banquet, in which Christ is received, the memory of His Passion is renewed, the mind is filled with grace, and a pledge of future glory is given to us. You have given them bread from Heaven. Let us pray. God our Father, for Your glory and our salvation You appointed Jesus Christ eternal High Priest. May the people He gained for You by His Blood come to share in the power of His Cross and Resurrection by celebrating His Memorial in this Eucharist, for He lives and reigns with You and the Holy Spirit, one God, forever. Amen. O Jesus, since You have left us a remembrance of Your Passion beneath the veils of this Sacrament, grant us, we pray, so to venerate the sacred mysteries of Your Body and Blood that we may always enjoy the fruits of Your Redemption, for You live and reign forever. Amen. Divine Jesus, You have said, "Ask and you shall receive; seek and you shall find; knock and it shall be opened to you." Behold me kneeling at Your feet, filled with a lively faith and confidence in the promises dictated by Your Sacred Heart to Saint Margaret Mary. I come to ask this favor: Mention your request). O Most Blessed Mother, heart of love, heart of mercy, ever listening, caring, consoling, hear our prayer. As your children, we implore your intercession with Jesus your Son. Receive with understanding and compassion the petitions we place before you today, especially ...(special intention). We are comforted in knowing your heart is ever open to those who ask for your prayer. We trust to your gentle care and intercession, those whom we love and who are sick or lonely or hurting. Help all of us, Holy Mother, to bear our burdens in this life until we may share eternal life and peace with God forever. Oh Mother of Perpetual Help, grant that I may ever invoke your powerful name, the protection of the living and the salvation of the dying. Purest Mary, let your name henceforth be ever on my lips. Delay not, Blessed Lady, to rescue me whenever I call on you. In my temptations, in my needs, I will never cease to call on you, ever repeating your sacred name, Mary, Mary. What a consolation, what sweetness, what confidence fills my soul when I utter your sacred name or even only think of you! I thank the Lord for having given you so sweet, so powerful, so lovely a name. But I will not be content with merely uttering your name. Let my love for you prompt me ever to hail you Mother of Perpetual Help. Mother of Perpetual Help, pray for me and grant me the favor I confidently ask of you. (Then say three Hail Marys). Prayer. God you have scattered the darkness with your light and have poured your light into our hearts so that we might look upon the radiant face of Jesus Christ. Nourish in us the desires to contemplate your beloved Son. Amen. Mary, Queen Assumed into Heaven, I rejoice that after years of heroic martyrdom on earth, you have at last been taken to the throne prepared for you in heaven by the Holy Trinity. Lift my heart with you in the glory of your Assumption above the dreadful touch of sin and impurity. Teach me how small earth becomes when viewed from heaven. Make me realize that death is the triumphant gate through which I shall pass to your Son, and that someday my body shall rejoin my soul in the unending bliss of heaven. From this earth, over which I tread as a pilgrim, I look to you for help. I ask for this favor: (Mention your request). When my hour of death has come, lead me safely to the presence of Jesus to enjoy the vision of my God for all eternity together with you. Jesus, I trust in You. Please grant through Your mother’s intercession that I may always bring Your hope into my family. Jesus, I trust in You. Please grant through Your mother’s intercession that I may always bring Your love into my family. Jesus, I trust in You. Please grant through Your mother’s intercession that I may always bring Your mercy into my family. Our Lady, on this feast of your birth, please pray for stronger and holier marriages. Most lovable Mother Mary, our Father in Heaven created you with delight. You are His creature whom He made worthy to become the holy Mother of His Son. You were born into a family of Saints. Pray for me today that my joy in your Son will increase and that my family may become more holy. Oh most holy daughter of Adam, your precious Son chose you as the vessel for his entry to the world. Where our first mother, Eve, fell short, you fulfilled God’s call for a Mother’s holiness. Pray for me today that the feast of your birth may give great joy to my soul that I may be born to new life through your Son. Immaculate daughter of Saints Joachim and Anne, you are the door to the Eternal Word who made you the source of His Sacred Blood. You are a model for all Christian sons and daughters. Pray for me today that the feast of your birth may give great joy to my soul and that I may have a greater devotion to your Son’s Precious Blood. Oh most holy daughter of the line of King David, the Redeemer of the world loves you with the singular love of a Child for His mother. Pray for me today that the feast of your birth may give great joy to my soul that I may have a greater love and devotion to my Mother and Father. Most holy Mary, the Holy Spirit preserved you from sin so that our Lord would have a fitting vessel to enter the world. Pray for me today that the feast of your birth may give great joy to my soul that I may remain faithful to your Son until the end. Oh holy Mother, St. Joachim and St. Anne were delighted to love and care for so holy a child. Pray for me today that the feast of your birth may give great joy to my soul that I may show greater charity to my parents and grandparents in word, prayer and deed. Holy Mother, your birth caused great joy to the angels, because they saw your holiness caused by your Son’s resurrection. Pray for me today that the feast of your birth may give great joy to my soul that your graces may rain down on all married couples. Heavenly Mother, your birth gave great joy to all the world because it signaled the coming of Jesus Christ, who would save the whole world by His life, death and resurrection. Pray for me today that the feast of your birth may give great joy to my soul that I may be exceedingly patient with my family and loved ones. Mother Mary, you pray for me as your child. Thank you for welcoming me into the Holy Family. Pray for me today that the feast of your birth may give great joy to my soul that I may increase my devotion to the Holy Family. O Lord, show Your mercy to me and gladden my heart. I am like the man on the way to Jericho who was overtaken by robbers, wounded and left for dead. O Good Samaritan, come to my aid. I am like the sheep that went astray. O Good Shepherd, seek me out and bring me home in accord with Your will. Let me dwell in Your house all the days of my life and praise You for ever and ever with those who are there. (Mention request) Amen. O most sweet Jesus, through the bloody sweat which Thou didst suffer in the Garden of Gethsemane, have mercy on these Blessed Souls. Have mercy on them. O most sweet Jesus, through the pains which Thou didst suffer during Thy most cruel scourging, have mercy on them. O most sweet Jesus, through the pains which Thou didst suffer in Thy most painful crowning with thorns, have mercy on them. O most sweet Jesus, through the pains which Thou didst suffer in carrying Thy cross to Calvary, have mercy on them. O most sweet Jesus, through the pains which Thou didst suffer during Thy most cruel Crucifixion, have mercy on them. O most sweet Jesus, through the pains which Thou didst suffer in Thy most bitter agony on the Cross, have mercy on them. O most sweet Jesus, through the immense pain which Thou didst suffer in breathing forth Thy Blessed Soul, have mercy on them. My heavenly brothers and sisters, from those most renowned to those of greatest obscurity, I come before you now in all humility and commend myself, and all who are dear to me, to your intercession. Pray for us always, that we may awake each day with a burning desire for the Lord whose Face you behold, that we will maintain an intimate personal relationship with Jesus, our Savior and Head, and that we will not hesitate to proclaim God’s greatness to others, and love them as the Lord loves us. As you offer your continual praise before the throne of God, I raise my heart to you now to implore your powerful intercession for these special needs: (………). I am confident that your prayers on our behalf will be graciously heard by our loving and merciful Lord. By his grace, may we someday join you in the glory of the Father’s house. we beseech You that, as by the foreseen death of this, Your Son, You did preserve Her from all stain, so too You would permit us, purified through Her intercession, to come unto You. Through the same Lord Jesus Christ, Your Son, who lives and reigns with You in the unity of the Holy Spirit, God, world without end. Amen. God's Love Revealed In His Becoming Man. When He saw that all the other gifts which He had bestowed on us were not sufficient to induce us to pray His love with love, He became man Himself and gave Himself all to us. "The Word was made flesh and dwelt among us;" "He loved us anddelivered Himself up for us." O Mary, Mother of God and my Mother, pray for me that thy Son may give me the grace to love Him always, unto death. God's Love Revealed In His Being Born An Infant. The Life Of Poverty Which Jesus Led From His Birth. The Life Of Humiliation Which Jesus Led From His Birth. The Life Of Sorrow Which Jesus Led From His Birth. Jesus Christ could have saved mankind without suffering and dying. Yet, in order to prove to us how much He loved us, He chose for Himself a life full of tribulations. Therefore the prophet Isaias called Him "a man of sorrows," His whole life was filled with suffering. His Passion began, not merely a few hours before His death, but from the the first moment of His birth. He was born in a stable where everything served to torment Him. His sense of sight was hurt by seeing nothing but the rough, black walls of the cave; His sense of smell was hurt by the stench of the dung from the beasts in the stable; His sense of touch was hurt by the prickling straw on which He lay. Shortly after His birth He was forced to flee into Egypt, where He spent several years of His childhood in poverty and misery. His boyhood and early manhood in Nazareth were passed in hard work and obscurity. And finally, in Jerusalem, He died on a cross, exhausted with pain and anguish. God's Mercy Revealed In His Coming Down From Heaven To Save Us. Flight Of The Child Jesus Into Egypt. Although the Son of God came from heaven to save men, scarcely was He born when men began to persecute Him to death. Herod, fearing that this Child would deprive Him of his kingdom, seeks to destroy His life. But St. Joseph is warned by an angel in a dream to take the Infant and His Mother and flee into Egypt. Joseph obeys at once, and tells Mary about it. Forgive me, O Jesus, and let me bear Thee with me in my heart n all the rest of the journey that I have still to make through life, so that together with Thee I may enter into eternity. So often have I driven Thee from my soul by my sins. But now I love Thee above all things, and I regret above other misfortunes that I have offended Thee. I wish to leave Thee no more, my beloved Lord. But do Thou give me the strength to resist temptations. Never permit me to be separated from Thee again. Let me rather die than ever again lose Thy good grace. The Life Of The Child Jesus In Egypt And In Nazareth. Not unlike this was the poor and humble life that Jesus led in Nazareth after His return from Egypt. There, until He was thirty years old, He lived as a simple servant or workman in a carpenter shop, taking orders form Joseph and Mary. "And He was subject to them." Jesus went to fetch the water; He opened and closed the shop; He swept the house, gathered the fragments of wood for the fire, and toiled all day long, helping Joseph in his work. Yet who is this? God Himself, serving as a apprentice! The omnipotent God, who with less than a flick of His finger created the whole universe, here sweating at the task of planing a piece of work! Should not the mere thought of this move us to love Him? The Birth Of Jesus In The Stable Of Bethlehem. So in that night they went a short way out of the town and there found a cave that was used as a stable, and here Mary entered. But Joseph said to his virgin wife, "Mary, how can you spend the night in this cold,damp cave and here give birth to your Child?" Mary however replied, "Dear Joseph, this cave is the royal palace in which the King of kings, the Son of God, wishes to be born." When the hour of her delivery had arrived, the holy Virgin, as she knelt in prayer, all at once saw the cave illumined with a dazzling light. She lowered her eyes to the ground and there saw before her the Son of God now born on earth, a poor little Babe, crying and shivering in the cold. Adoring Him as her God, she took Him to her breast and fondled Him. Then she wrapped Him in swaddling clothes and lad Him on the straw of the manger that stood in the cave. Thus did the Son of God choose to be born among us to prove His infinite love for us. pray for exploited and abused children. intercede for the captive and suffering children. preserve the purity and innocence of children and be their help and comfort. Heavenly Father, I ask that you look with great mercy upon the peril of innocent children being violated in the world and deliver them from every evil. I beg your mercy through the sacrifice of the Holy Innocents and through the sacrificial love of your beloved Son, our Lord and Savior, Jesus Christ. Amen. Jesus, Mary, and Joseph, bless me and grant me the grace of loving Holy Church as I should, above every earthly thing, and of ever showing my love by deeds. Jesus, Mary, and Joseph, bless me and grant me the grace of openly professing as I should, with courage and without human respect, the faith that I received as your gift in holy Baptism. Jesus, Mary, and Joseph, bless me and grant me the grace of sharing as I should in the defense and propagation of the Faith when duty calls, whether by word or by the sacrifice of my possessions and my life. Jesus, Mary, and Joseph, bless me and grant me the grace of loving my family and others in mutual charity as I should, and establish us in perfect harmony of thought, will, and action, under the rule and guidance of the shepherds of the Church. Jesus, Mary, and Joseph, bless me and grant me the grace of conforming my life fully as I should to the commandments of God’s law and those of His Holy Church, so as to live always in that charity which they set forth. Most loving Jesus, by Your sublime and beautiful virtues of humility, obedience, poverty, modesty, charity, patience, and gentleness, You blessed with peace and happiness the family which You chose on earth. In Your mercy look upon my family. We belong to You, for we have received Your many blessings over many years and we entrust ourselves to Your loving care. Look upon my family in Your loving kindness, preserve us from danger, give us help in time of need, and grant us the grace to persevere to the end in imitation of Your holy Family, so that having revered You and loved You faithfully on earth, we may praise You eternally in heaven. Mary, dearest Mother, to your intercession we have recourse, knowing that your Divine Son will hear your prayers. 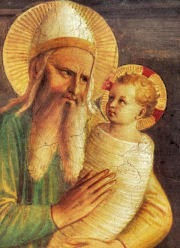 Glorious patriarch, Saint Joseph, help us by your powerful prayers and offer our prayers to Jesus through Mary’s hands. Amen. Lord Jesus Christ, being subject to Mary and Joseph, You sanctified family life by Your beautiful virtues. Grant that we, with the help of Mary and Joseph, may be taught by the example of Your holy Family, and may after death enjoy its everlasting companionship. Lord Jesus, help us ever to follow the example of Your holy Family, that in the hour of our death Your glorious Virgin Mother together with Saint Joseph may come to meet us, and we may be worthy to be received by You into the everlasting joys of heaven. You live and reign forever. Amen.